On Monday, May 15, 2017 BABC Board Members along with a select group of executives from other businesses and regional organizations visited the British Consulate in New York City. More than 50 people participated in the meeting led by Ross Allen, Director, Department for International Trade (DIT), USA and Deputy Consul General in New York. Ross opened the meeting with a briefing and high level overview of what is currently happening in the UK. Theresa May’s surprise June 8 general election announcement started a period of “purdah” (the pre-election phase in the UK, specifically the time between an announced election and the final election results). Ross introduced members of his team, and a leader from each sector represented spoke about their campaigns and regional opportunities in the Greater Philadelphia region. Rhett Workman, BABC Chairman, talked about the BABC mission – bringing businesses together to bolster the trade and commercial relationship between the US and the UK. He presented the BABC as the go to organization for British business development in the region. The BABC’s job is to help members connect the dots, and create valuable relationships to enhance their businesses. Rhett mentioned the importance of partnering with DIT and other organizations in order to best serve our members. Rebecca Lewis, Deputy Head of Trade & Investment, New York is the DIT liaison on the BABC Board of Directors. She is also the lead for the energy sector. Rebecca kicked-off the DIT sector discussion and financial services, life sciences, advanced engineering, UN trade, food & drink, retail, tech & digital followed. The breadth and scope of DIT’s work is expansive and impressive. Everyone sitting around the table had the opportunity to introduce themselves. A dynamic question and answer session followed, focusing on how DIT generates their business; the areas of growth and greatest focus for the UK government; and trends related to trade with the US and the rest of the world. The BABC thanks DIT for hosting this informative meeting and for the valuable time spent speaking with us about their role and objectives. 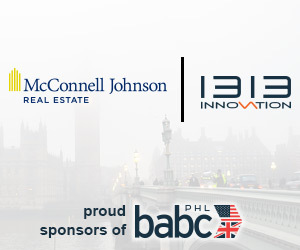 The BABC invites DIT sector leads to contact us when they are in the Greater Philadelphia region.